Atlas Cedar is a fragrance for connoisseurs, quite sophisticated and with an exotic character. The beginning is green and fruity (with bergamot, tangerine, clementine and rhubarb). Then, the heart notes reveal a stream of spices (nutmeg, cinnamon and cardamom). At last, the fragrance is evolving towards a woody wake mixed with amber. The cedar in itself evokes a majestic image; the Atlas magnifies it further still. In defining his fragrance, Jean-Charles Brosseau needed nothing more than these two words. This delicate work, making something so small into such an immense source of joy, could only be accomplished by a perfectionist. Atlas Cedar dares to make this statement in a beautiful bottle. 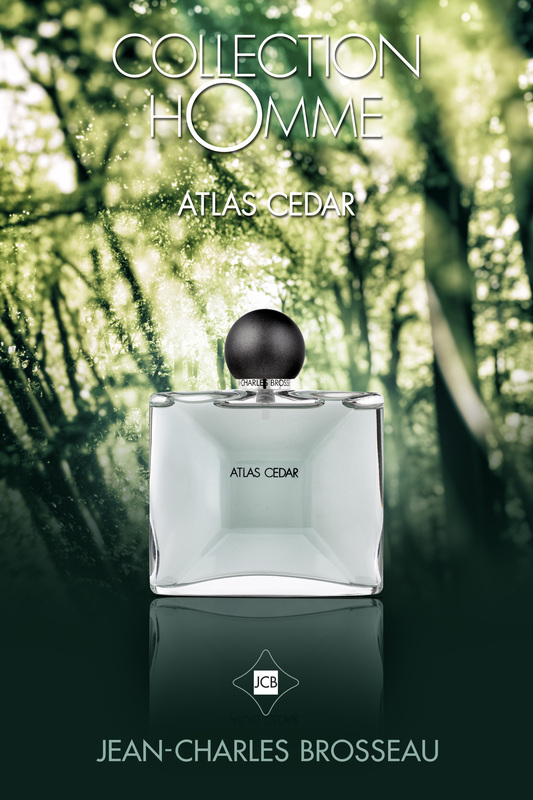 "Atlas Cedar" appeals to men who have dabbled in everything only to become jaded by the savors they have experienced, to those who choose with their head alone. This is the birth of another fragrance, delectable and irresistible.